1 Knot from the Waddensea in 2016. 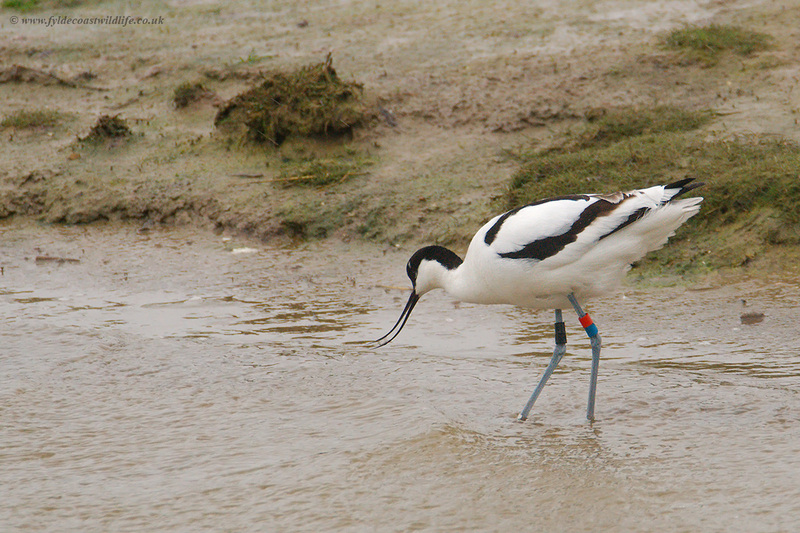 It spent some time in captivity at NIOZ, one previous sighting after release on the Waddensea in 2016. The first sighting since was yesterday on the Eric Morecambe pool. 7 Knot from Formby (4 from September, 3 from 30th March). All ringed as a joint project to understand the different migration strategies of birds moulting and wintering in the 'Greater Liverpool Bay' area. All birds marked there have an orange engraved flag with a 2 or 3 character code. 1 Czech ringed Med gull on the Allen pool briefly on Sunday morning. First sighting since ringing as a chick in June 2017. One Scottish bird remained on one leg and failed to be individually identified on Sunday. Another spring regular seen on Barrow scout this morning which only appears locally in March and April however moults on the Wash, winters around the Dee and Ribble and departs around the 27th April. For the last 3 years we've now had sightings at Leighton 3-4 days before it has been seen in Iceland. Total of 177 sightings since ringing! A third bird was ringed in 1998 on the Wash with a long history although more sporadic than the previous one and far less predictable. A French ringed chick from the gulf of Morbihan now in its 7th year breeding on the Allen Pool. Seen back in France every winter close to it's natal area. It was also seen on the Ribble last April after giving up at Leighton Moss. 3 Greylag geese from the Windermere work; full details expected shortly. 2 Black headed gulls from the North West, again awaiting full details. As always all colour ring sightings are more than welcome. If you're stuck with any I'm more than happy to find the ringer and act as a middleman for chasing them up. Many colour ringed ones in the fields this morning? I spotted a black-tailed Godwit on Eric Morecambe left orange over pale blue, right possibly yellow over another colour. very frustrating. Thanks for posting this interesting data. > now in its 7th year breeding on the Allen Pool. > April after giving up at Leighton Moss. Would it be this one, seen today (17/04/18) in front of the Allen hide? That one is from the Tees, ringed as a chick in 2015 with a few sightings on the East coast in the first two years before appearing at Leighton Moss last year and returning again this year. Thank you for the reply Richard, interesting to know.